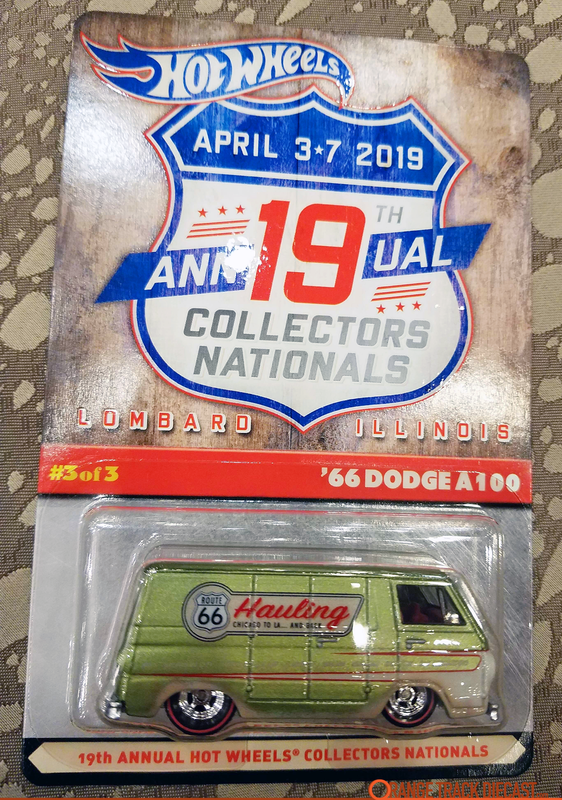 4/2/2019 — The sold-out, 19th Annual Hot Wheels Nationals Convention in Lombard, Illinois kicks off today. If the two conventions from last year have taught us anything, its that the casual conventions of years past are gone. 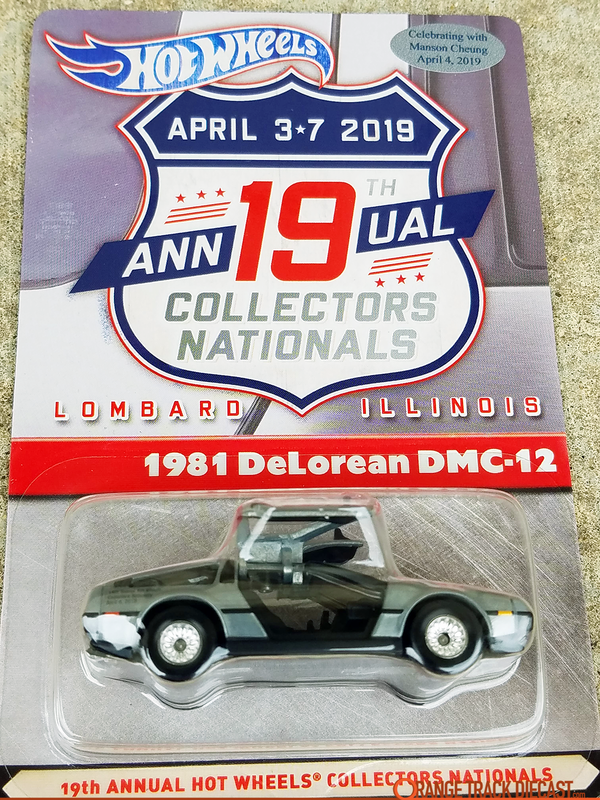 Evidenced by how quickly the convention, and all of its events, have sold out should be an indication of how busy it will be when Hot Wheels collectors invade this Chicagoland suburb. To make matters even more crazy, the Kmart Collectors Event will also be held Saturday, so expect large crowds at the neighboring stores. To start things off, the list of the souvenir cars is below. Also, there is a news section below that, and we will update that as the convention progresses (until Sunday). For the list of events, check out the Convention’s web site >> HERE. Mattel Staff on Hand: Larry Wood (Mr. Hot Wheels, Retired Designer), Brendon Vetuskey (Lead Designer of HWC/RLC, Monster Trucks), Bryan Benedict (Lead Designer of Character Cars), Mike McClone (Basics Graphic Designer), Manson Cheung (Sculptor/3D Designer), Julian Koiles (Senior Packaging Designer of Car Culture, Pop Culture, Replica Entertainment and HWC/RLC), Jimmy Liu (Marketing Manager for Collector lines), Howard Rees (Former Designer), and Ron Wong (Designer, Mattel Hong Kong). RUMOR! Dinner Car will be a DeLorean. CONFIRMED! RUMOR! 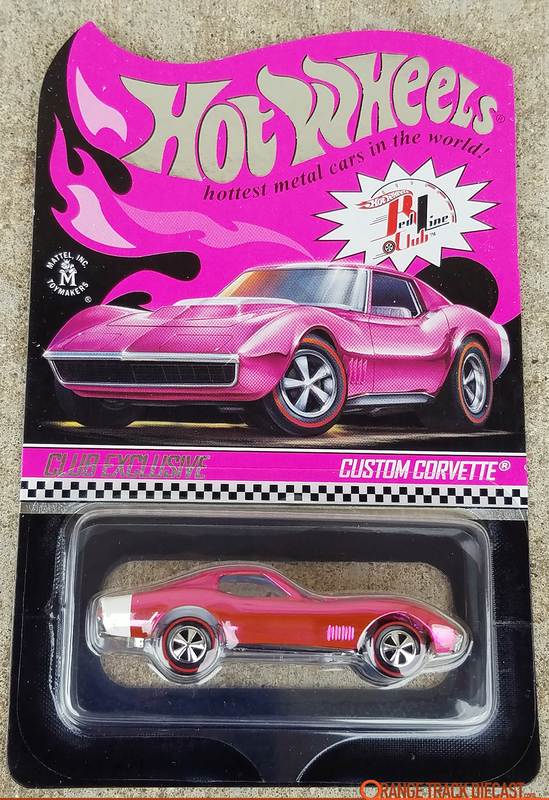 Pink RLC Car will be the Custom Corvette. CONFIRMED! RUMOR! The Finale car will be the ’66 Dodge A100. CONFIRMED! RLC Exclusive Car will be for sale on Friday 4/5 at 9:30AM CST. It will cost $20, cash only. There will be NO RLC Party/Raffle this year. Several SNEAK PEEKS were shown at the Autograph Signing on Thursday afternoon. You can see those >> HERE. 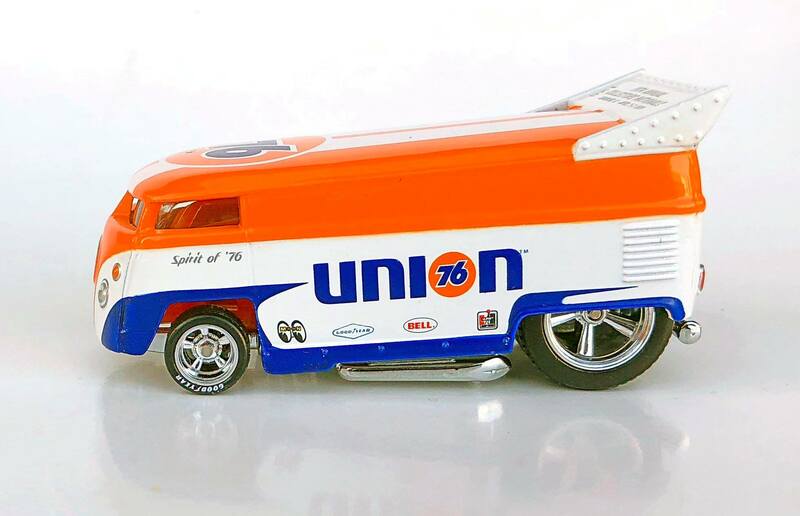 Next year’s Hot Wheels Nationals Convention will be held in Charlotte, North Carolina. Mattel currently holds the Koenigsegg license. 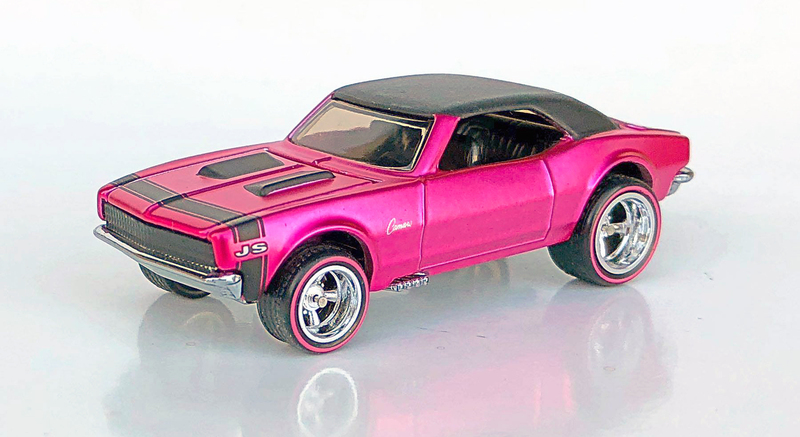 Next RLC release should be Chameleon 240Z or ’41 Willys Gasser. Good chance we will see an Exotic Car Culture series in the future. Factory theft still an issue. Thieves innovatively finding ways to beat Mattel parameters. One thing you can do is to not buy stolen goods. Me and a buddy are still going Friday during the day, we both took off work and are driving from SE WI to lombard, no tickets in hand but are meeting up with fellow collectors who are going to hook us up with convention cars for $35 a pop and we are going to browse the hotel rooms and mingle, at least i save my $75 for a ticket (due to selling out lightning fast) and should still have fun, also will return sunday for the massive diecast show open to public for $5 entry hope to wheel and deal some new stuff for my collection!! Matthew r.. can you get any extra convention cars? There are 4 Kmart’s left in the Chicago area. All collectors got their last week via online. Nobody going leave Convention to go to Kmart in those neighborhoods. Most likely they got it back recently. For it to net results takes about 18 months for the production cycle to reach the consumer. Brad I just got my 2 Custom Camaros from convention in the mail. Is this the first time the torsion suspension has been used with real riders?